Read the feature in it’s full length in today’s Danish newspaper Politiken. 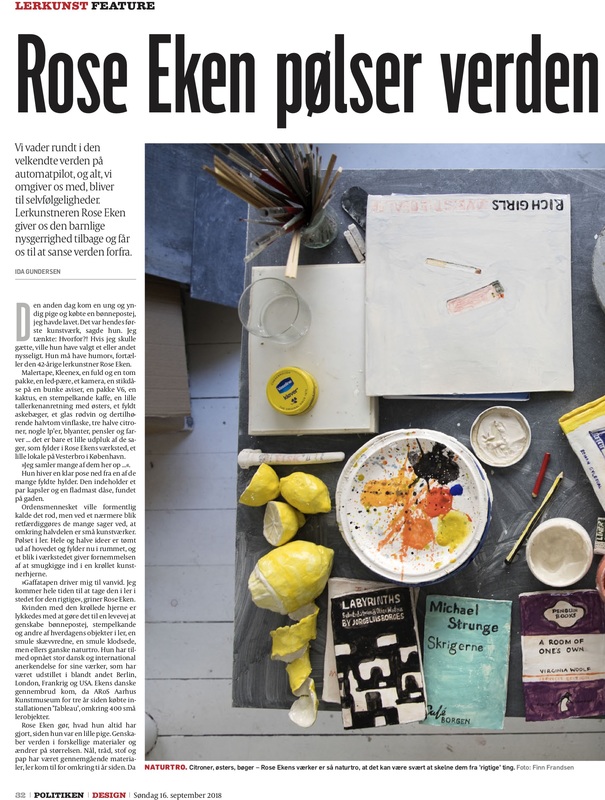 Rose Eken’s first and major solo exhibition at a Danish museum opened yesterday. Rose Eken: Afterbeat continues at Horsens Art Museum through January 13.